The number one mistake made by novice cross-country skiers: overlayering. You generate a lot of body heat as you ski. Here’s what to wear for cross-country skiing. A warm base layer is sufficient to keep you comfortable in all but the most arctic conditions. Heat-stealing wind is a major concern. 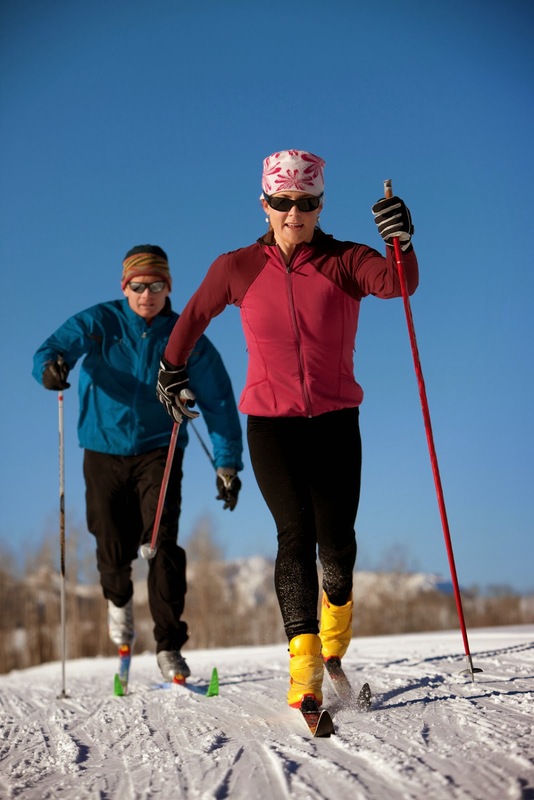 Wear a lightweight, wind-resistant top and bottom or invest in a layer designed specifically for cross-country skiing. They often feature a wind-resistant front and more breathable back for optimum comfort. Form-fitting clothing helps maintain your full range of motion. Avoid baggy jackets, which can interfere with your poling. Bulky gloves can encumber your pole grip; thinner, wind-resistant styles are ideal for most conditions. If it’s very cold, consider a pair of “lobster-claw” gloves, which split your fingers Vulcan style into two finger pockets, increasing warmth while still providing good dexterity.